As individuals who live, work and play in the areas we serve, Novak Sanitary Service and its employees are dedicated to helping Southeastern South Dakota residents reduce, reuse and recycle. Please check out the Resources section to help eliminate these items from our landfill. 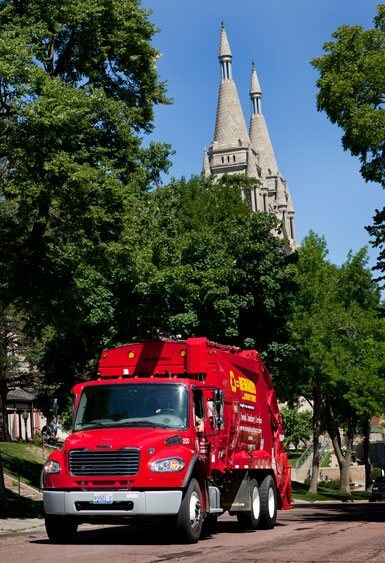 To help reduce the materials going into the area landfill, our residential South Dakota garbage service includes trash collection and free document shredding for the people of Sioux Falls and surrounding areas. We also offer customers recycling service through our partnership with Recycling Perks. Current Novak residential garbage customers can also Refer A Friend and earn a FREE month of service. ...to set up your residential trash & recycling service today. 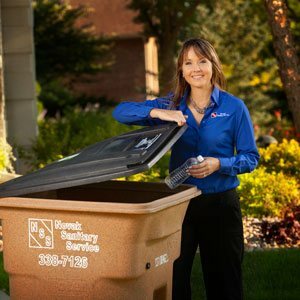 Earn One Month Free South Dakota Trash & Recycling Service! Residential trash & recycling customers may earn one month of free trash service for every friend they refer who becomes a Novak Sanitary Service customer. Our regular residential garbage collection service begins at 6:00 a.m. Monday through Friday. Location to learn your service day details. If garbage is not out in time for regular collection, it can either be picked up the following week, or you may request a special pickup (for an additional fee). 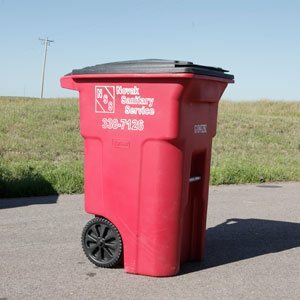 Your monthly service charge is based on a certain size trash cart (48, 65 or 95 gallon). To ensure extra trash or bulk items are picked up, please call the Novak office at 605-338-7126 by noon the workday before your scheduled pickup day. There may be an extra charge for trash outside of the cart. Please review the list of items below that are acceptable or unacceptable to put in your garbage cart. 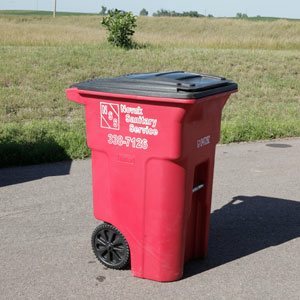 Novak Sanitary picks up residential recycling for Southeast South Dakota every other week, on the same day as trash, beginning at 6:00 a.m. Monday-Friday. And, Novak offers a recycling rewards program. If your residential recycling container is not out in time for collection, it can either be picked up during the following scheduled collection, or you may request a special pick-up (for an additional fee). Please read below or view the Recycling Guide of items that can and cannot be placed in the recycling cart. Also check out the Resources section to learn where you can recycle other items not accepted in the single stream. To benefit loyal recycling customers like you, Novak Sanitary has partnered with Recycling Perks to offer you MORE LOCAL REWARDS with area businesses, and you can start earning points today! Registration is open to all Novak Sanitary Service residential recycling customers in the greater Sioux Falls area. Register at www.RecyclingPerks.com – it takes less than 2 minutes. On your normal, bi-weekly collection day, your Recycling Perks account will automatically earn 50 points each time your Novak recycling cart is emptied. You may log in any time at www.RecyclingPerks.com to redeem points for discounts and freebies from local businesses, participate in raffles, and more. As a registered participant, you can earn up to $25 in discounts and freebies each month. That's $300 in discounts each year! Registered accounts can share earned points with family and friends. For more information about your recycling service with Novak Sanitary Service, or to learn what's allowed in the recycling cart visit www.novaksanitary.com/residential or call 605-338-7126. Thank you for being a loyal Novak Sanitary Service recycling customer. Together we are making a sustainable difference! Novak Sanitary's Yard Waste Service runs from April 1 - November 30. To start yard waste service, call 605-338-7126 or email us. 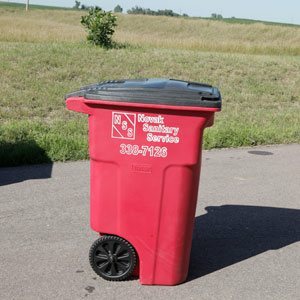 To start this weekly service, Novak trash customers must call the Novak customer service team to schedule the delivery of a 95 gallon yard waste cart. Have cart ready for pickup by 6:00 a.m. On-Call service requires a minimum of 2 (compostable) bags out by 6:00 a.m.
Novak Sanitary residential trash customers are allowed to bring the equivalent of five banker size boxes of documents per year to our office to be shredded, free of charge! 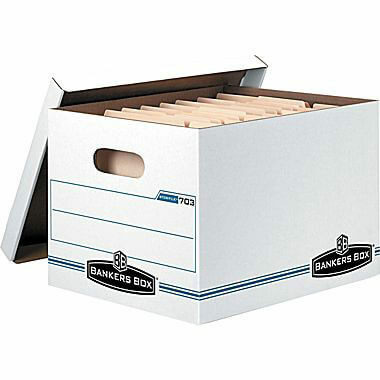 After the five free boxes per year, the cost is only $5 per box. Individuals who are not Novak residential trash customers may also drop off documents to be shredded. The cost is $5 per box (size equivalent to 12" x 15" x 10"). Monday-Friday between 7:30 a.m. and 5:00 p.m. Call Novak today to learn about the convenience of using one of our roll-off containers for your next home remodel. Our construction specialists can help you find the right size container for your project and we'll explain what items are allowed and not allowed in these roll-off containers. In an effort to reduce the amount of materials going to the landfill, Novak encourages everyone to donate items that are in need at the Sioux Falls Habitat for Humanity ReStore. Open Top 12 yard 14' 8' 3'6"
20 yard 22' 8' 3'5"
My husband and I have used Novak for years. A year ago we had another service approach us and we did go with them just long enough to promptly fire them a few weeks later. I never appreciated the service we got from Novak until we had terrible service. Everyone in the office is great to work with and the service is spot on. We are lifers! Please join with Novak and our employees to help reduce the amount of materials going to the landfill and to appropriately discard the items below. If you'd like to recommend additional information for this section, please send us an email. If you have alkaline batteries, like those used in clocks, toys, calculators, handheld gaming devices, flashlights, and basic remote controls those can go in the trash. Examples include, nonrechargeable AAA, AA, C, D, 9V. Otherwise the batteries outlined in this Novak news article are accepted at the Household Hazardous Waste Facility. In an effort to reduce the amount of materials going to the landfill, Novak encourages everyone to donate items that are in need at the Sioux Falls Habitat for Humanity ReStore. Here's a link to what Items they accept. Effective May 4, 2004, the City of Sioux Falls ordinance banned electronics from the Sioux Falls Regional Sanitary Landfill. To learn what items they do and do not accept, read this Electronics Recycling Brochure. If you have used eyeglasses you no longer need, you can donate them to the Lions Club. They accept prescription and reading glasses with metal or plastic frames. Children's glasses are especially needed. To learn what items can be taken to the Household Hazardous Waste Facility in Sioux Falls read their Household Hazardous Waste information. Before you discard those unused pharmaceuticals, read this Novak news article. The Sioux Falls Public Works, Environmental Division designed the Sharps Disposal Program to protect area residents, and employees who handle refuse and recycling. There are free Sharps Drop-off locations at three area pharmacies. Sharps include needles, syringes and lancets that individuals use at home. Residents who live in Minnehaha, Lake, Lincoln, McCook and Turner counties who use sharps may pickup a sharps disposal container at any Lewis Drug, Hy-Vee or Walgreen pharmacies. Once the container is full, return it to the originating pharmacy and receive a new sharps disposal container. How often are residential trash customers billed? We offer monthly or quarterly billing. 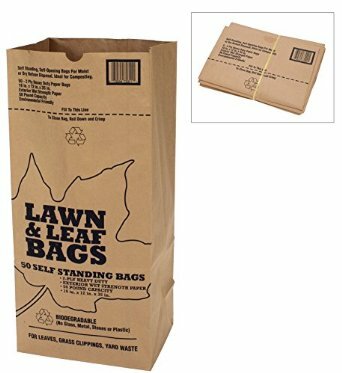 What time should I have my cart (trash, recycling, yard waste) out on collection day? Carts need to be accessible for collection by 6:00 a.m. to ensure pickup. How do I know if a holiday affects my trash pickup day? You may view our Holiday Calendar here. Normally, during holiday a week service runs one day late. For example, if the holiday falls on a Monday, all pickups that week will be one day late and that means Friday pickup will be done on Saturday. If the holiday falls on a Thursday, the only service days impacted with be Thursday and Friday. How do I make a payment on your website? The link to the Online Bill Pay button appears at the top of every page of NovakSanitary.com. The Online Bill Pay page will handle your online payments securely. Where do you offer residential Trash and recycling service and when? To learn what residential services we offer in your area and when, just use the "Choose Your Location" drop down menu at the top of any page. I had extra trash this week. Why wasn't it picked up? Your monthly service charge is based on a certain size trash cart (48, 65 or 95 gallon). There may be an extra charge for trash outside of the cart. To ensure extra trash or bulk items are picked up, please call the Novak office at 605-338-7126 by noon the workday before your scheduled pickup day. 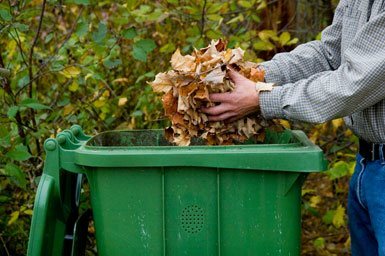 Why can't yard waste (grass, leaves, weeds) be placed in my garbage cart? The Sioux Falls City Landfill does not accept these materials in the garbage portion of the landfill. The landfill has a separate area for these items and it will be turned into compost. Unfortunately, our area recycling processing center does not accept Styrofoam at this time so you need to place it in the trash. Because this material not recyclable in our area, Novak suggests reducing the household use of Styrofoam cups and plates. From time to time, I have extra recycling, what should I do? Recycling is truly FREE with Novak Sanitary Service. You may place the recycling in a clear plastic bag beside your cart on your normal recycling pickup day and the driver will haul it away. No need to call ahead. I have a constant overflow of recycling, what should I do? You have two FREE options. Either increase the size of your recycling cart from 48 gallons to 96 gallons or add an additional recycling cart of the appropriate size. Yard waste as defined by the Sioux Falls Regional Sanitary Landfill is grass clippings, leaves, weeds, and soft garden waste. Can I place a dumpster or a roll-off in the street? It depends on the community you live in. In Sioux Falls you will need a permit from the City Engineering Department. Your Novak representative can take care of that for you. Once the City reviews the request and approves it they will issue the permit. The City charges a nominal fee for the permit and we can add the charge to your statement. Other communities in the surrounding area do not allow any type of container in the street and it must be placed on your property. Please call 605-338-7126 to learn about roll-off service in your area. I am a Novak residential customer. Is it okay if I just bring in one box at a time? After the documents are securely shredded, what happens to them? The shredded documents are formed into bails and shipped out to pulp mills to be recycled. Each year, Dakota Data Shred recovers million pounds of shredded documents.